Even though it is one of the oldest motorcycles to be still on sale in the country, the Bajaj Pulsar 180 continues to be one of the company’s best selling motorcycles month by month. More than 15 years after its launch, it continues to hold its own against the modern-day competition. Powering it still the same 178cc, single-cylinder, air-cooled engine which delivers 17.02PS of power and 14.22Nm of torque. It gets a 15-litre fuel tank, tubeless tyres and LED tail lamps. The only competition for the Bajaj Pulsar 180 is the TVS Apache RTR180. 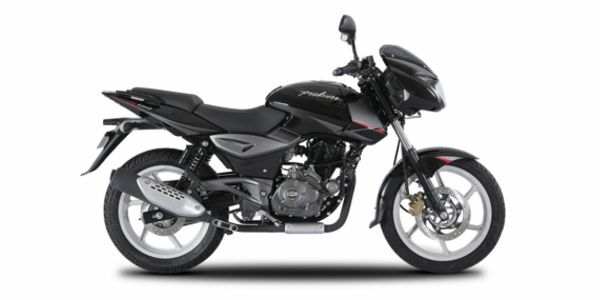 Bajaj Pulsar 180 prices start at Rs. 85,723 (Ex-Showroom). Bajaj Pulsar 180 is available in 2 variants and 5 colours. The claimed ARAI mileage for the Bajaj Pulsar 180 petrol is 50 kmpl. It is still one of Bajaj's more popular models and is seen as a sportier alternative in the 150cc class. But, the bike has begun to show its age, and not just in styling alone. Q. 150 or 180 which one i should prefer? Q. WHich is the best bike under 70,000 in India? Q. Is there any difference between front telescopic shock absorber in ordinary Pulsar 180 and new 180F? Styling and features of the Bajaj Pulsar 180 haven’t really changed over the years. For 2018 though, the company has tried to add a bit of freshness to make it standout from the sheer number of Pulsar 180s out on our roads. The changes come in the form of the Black Pack edition of the Pulsar series. This edition features a black paint job with new graphics, contrasting white alloy wheels and a satin chrome finish on the exhaust muffler. The Black Pack is available with the Bajaj Pulsar 150, 180 and the 220. The 178.6cc, single-cylinder, 4-stroke motor generates a maximum power output of 17.02PS @ 8500rpm and 14.22Nm of torque at 6500rpm. The power is transferred to the rear wheel via a 5-speed gearbox. The Pulsar 180 has a fuel tank capacity of 15 litres and weighs in at 145kg at the kerb. Braking is managed by a 260mm disc up front and a 230mm drum at the rear. TVS Apache RTR 180: Competitive pricing and performance are two key areas that need to be addressed to survive in this cut-throat segment and the Apache RTR 180 delivers well on both fronts with class-leading features such as a segment-first ABS-equipped brakes. However, it doesn’t feels as surefooted as the Pulsar does while cornering. The RTR 180 has started to show its age, and if ABS is not on your priority list, we would recommend you consider the more modern RTR 200 4V as well. The Pulsar 180 features similar power figures as the Apache RTR 180. Even though it has started to show its age, it still retains the gruff character of the first Pulsars. Also, the Pulsar feels more planted and sturdy around corners. Barring the Apache RTR 180 with ABS, which costs Rs 10,000 more than than the standard version and the Pulsar 180, the latter still comes across as a handsome package.